Vein diseases such as Chronic Venous Insufficiency (CVI) develop in stages, and affect those afflicted in predictable patterns over time. Below, we’ve outlined brief descriptions on Chronic Venous Insufficiency stages as well as stages of other vein diseases. Spider veins are small thin blood vessels that lie close to the surface of the skin. These dilated veins and capillary vessels are called telangectasias. They are more common in women than in men. Varicose veins are more prominent and this is when people often become aware of vein diseases. Over 75% of people with varicose veins have symptoms that interfere with their lives. People may experience burning, tingling, numbness, itchiness, tired, achy, heavy, swollen, or restless type sensations in their legs. The best time to have veins treated is when symptoms begin to develop. Left untreated, it can lead to more serious issues and vein diseases and even irreversible damage of the lymphatic system. As vein diseases progress, swelling of the legs may begin to occur. The backflow in the venous system interferes with the body’s ability to reabsorb fluid leading to swelling of the leg. Elevation may help with the symptoms, but will not cure venous disease. While swelling in the leg is commonly associated with vein diseases, there may be other underlying causes for swelling of the legs. 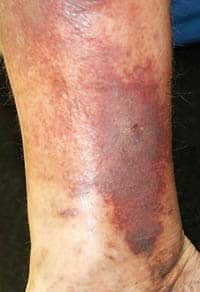 As vein diseases progress, the venous congestion may lead to changes in the skin’s color. The skin may also become thinner and discolored to reddish brown or whitish in color. At this stage, the skin is easily injured and takes more time to heal. Once an ulceration has developed, treatment can be performed to promote wound healing and provide much-needed relief of the symptoms. Venous ulcers usually occur due to improper functioning of venous valves. These venous ulcers can become chronic wounds if left untreated and can be extremely painful. Stages 5 & 6 are the most advanced forms of superficial vein diseases. 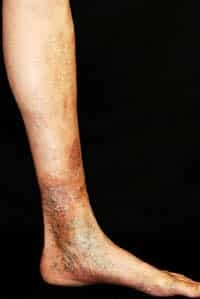 Venous ulcers are caused by venous congestion that has progressed to a point that it interferes with ability for blood flow to provide nutrition to the skin. Once vein diseases have progressed to this stage, any type of skin injury will heal extremely slow. Without treatment, these ulcers can remain unhealed for an extended period of time, and more than likely, will continue to worsen. 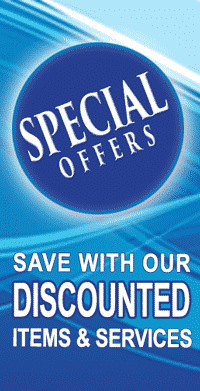 For more information about vein diseases, please contact Summit Skin & Vein Care today at (816) 533-4398.